Dr. McTaggart has a BS in Physics and a BA in Mathematics from West Virginia University, and a PhD in Physics from Penn State. 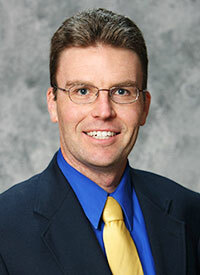 He has taught at South Dakota State University since 2004, and oversees the Minor in Nuclear Engineering at SDSU. He is a past-President of the North Central Chapter of the Health Physics Society, which covers much of Zone 11. As an Associate Professor of Physics he currently serves as the faculty advisor to the local chapter of the Society of Physics Students. His research interests include the effects of radiation on materials, environmental health physics, and particle physics research related to dark matter and neutrinos. I am the first generation born in the United States on my father's side. I am SPS.